These selection criteria were developed by Co-operative Education and Work-Integrated Learning Canada (CEWIL Canada), which grants a similar award. The University of Ottawa award serves to recognize some of our outstanding CO-OP students. Our award recipients may also be nominated for the CEWIL and EWO (Education at Work Ontario) CO-OP Student of the Year Awards. Potential nominees must be registered as full-time CO-OP students. They must have completed at least one CO-OP work term and received an outstanding evaluation from the employer, have an excellent academic record and be in good standing in their faculty and with the CO-OP Office. Students can be nominated by their faculty, the CO-OP Student Association, employers or the CO-OP Office. Each faculty winner is selected from a group of nominees, by a selection committee chosen by the Faculty. Faculty selection committees assess their candidates. One University of Ottawa winner is selected and announced at the CO-OP Annual Reception Gala. Rachel Cohen is completing her fourth and final year of a Bachelor’s in Mechanical and Biomedical Engineering. Her internships at the Laboratory of Anatomy, Biomechanics and Organogenesis of the Free University of Brussels (ULB) and Les Orthèses V.R.A.M. inc. provided many opportunities to excel and she successfully met every challenge. During her internship at ULB, she co-wrote an article for Gait and Posture journal and presented the results of her research at the European Society of Movement in Prague. 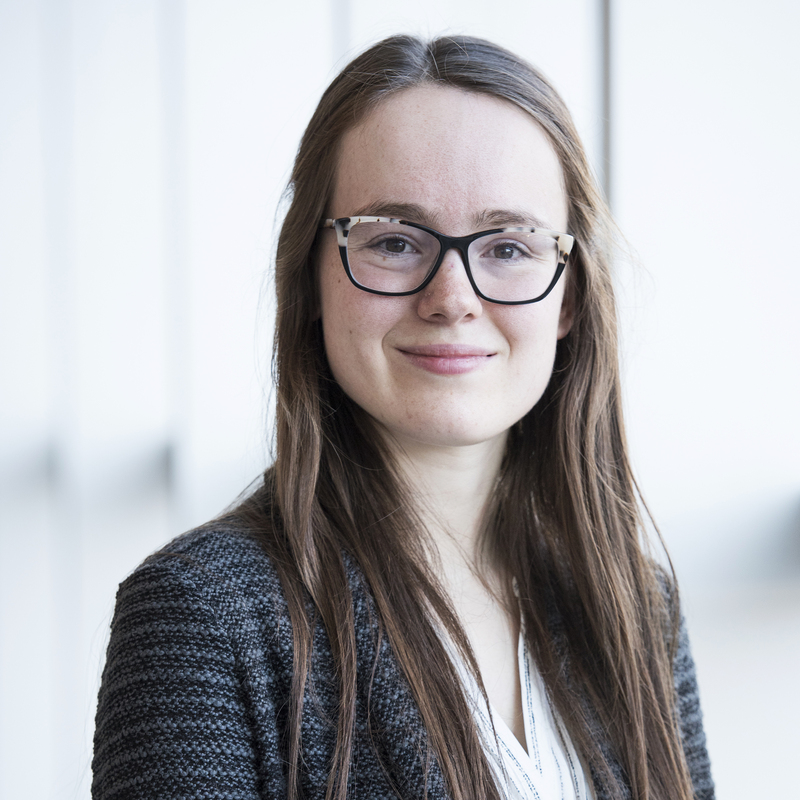 Her supervisor, Serge Van Sint Jan, says that Rachel “is able to transform any concept into reality.” Her keen interest and ability to learn quickly make her a dedicated and admirable student. Candide Uyanze is a fourth-year student in the Communication program. She completed her last CO-OP work terms at the Ottawa Art Gallery (OAG) and TV5 Quebec Canada. She considers that any position is an opportunity to learn and develope new skills, which is why she is involved in her community with EcoEquitable, The Fulcrum and the OAG Youth Council. Stéphanie Nadeau, her supervisor at the OAG said that she was “amazed to have encountered such professionalism, dedication, resourcefulness and sense of purpose in someone so young.” The significance of Candide’s contribution to the many projects of the OAG is indisputable. Vanessa Roy is in the third year of a degree in civil law. 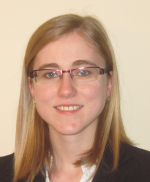 In 2018, she completed two CO-OP work terms that were very formative, the first at Global Affairs Canada (GAC) and the second at the Clinique de droit notarial de l'Outaouais. These highly stimulating work environments, coupled with her desire to learn and improve her abilities, have helped her improve her analytical, communication and teamwork skills. Her GAC supervisor, Sandra Schenck, said that Vanessa exceeded her expectations: Vanessa “adapted to every aspect of the position and was able to take on every task that was assigned to her with professionalism and dedication.” All recognize and appreciate her enthusiasm and commitment. In 2017, Lilian Cailleaud decided to change career paths and is now pursuing a Master of Arts in Public and International Affairs. Lilian chose to take part in two work terms with Environment and Climate Change Canada because of its stimulating work environment and its projects, which are central to today’s challenges. Moreover, Lilian’s supervisor, Kathi De, says that “Lilian is an extraordinary employee and on every project goes above and beyond the duties.’’ Thanks to experience as a translator and research assistant, Lilian is considered a multi-skilled worker whose efforts have been recognized by the director of Trade and Clean Technology and the assistant deputy minister responsible for the Office of International Affairs. Adelise Lalande is a baccalaureate in the in Honours Communication program. Adelise developed her work skills not only locally but also globally. She worked with the global communications team at Tommy Hilfiger in Amsterdam and with the marketing team at Hubble in London, United Kingdom. Her former manager, Hanna Mansson (Head of Marketing, Hubble), qualified Adelise as an “invaluable asset to the marketing team.” While in London, Adelise became an active member of SheSays, a professional network of women in the creative industry. In Canada, she was a Community and Marketing Coordinator for Iqaluit’s first entrepreneurship hub and VP of Communications for Feed the Homeless by U. She is a grateful recipient of several awards including the uOttawa Alumni Association Mobility CO-OP Scholarship and the Daniel Lamarre Scholarships for Public Relations and Communication. 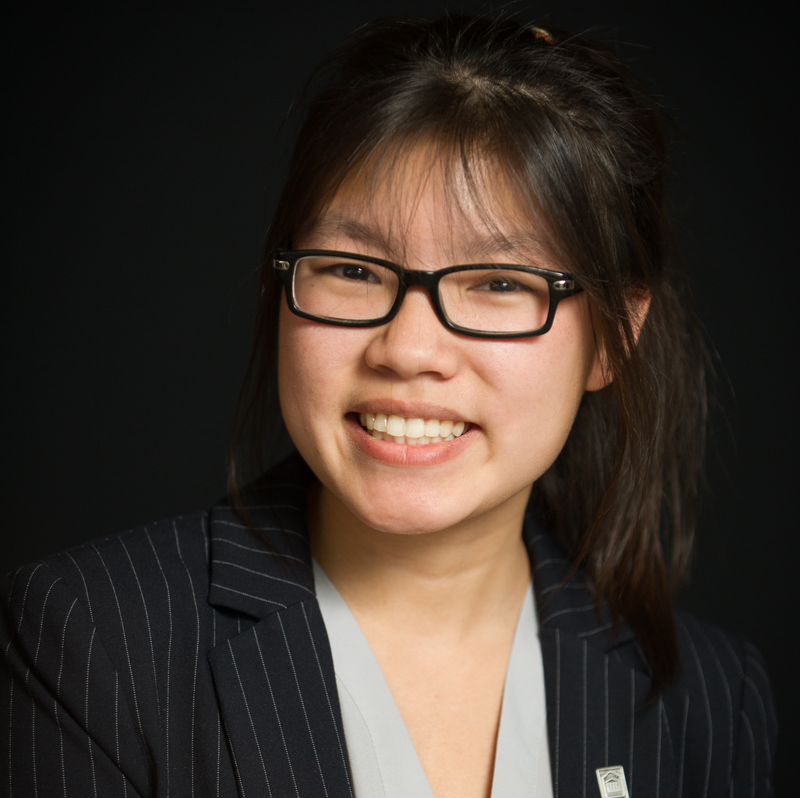 Ahwon Jeong is a dedicated and creative fourth-year student completing an Honours BSc in Biomedical Science with a Minor in Psychology. She worked as a Clinical Research Coordinator at the Ottawa Hospital Research Institute (OHRI) alongside Dr. Rebecca Auer (MD, Associate Professor, Surgical Oncologist, Ottawa Hospital Research Institute). Ahwon’s former manager says, “…her work performance is well beyond her age and years of experience.” She also received a “Perfect 10” Award at the Faculty of Science and has been on the Dean’s Honour List for three years in a row. 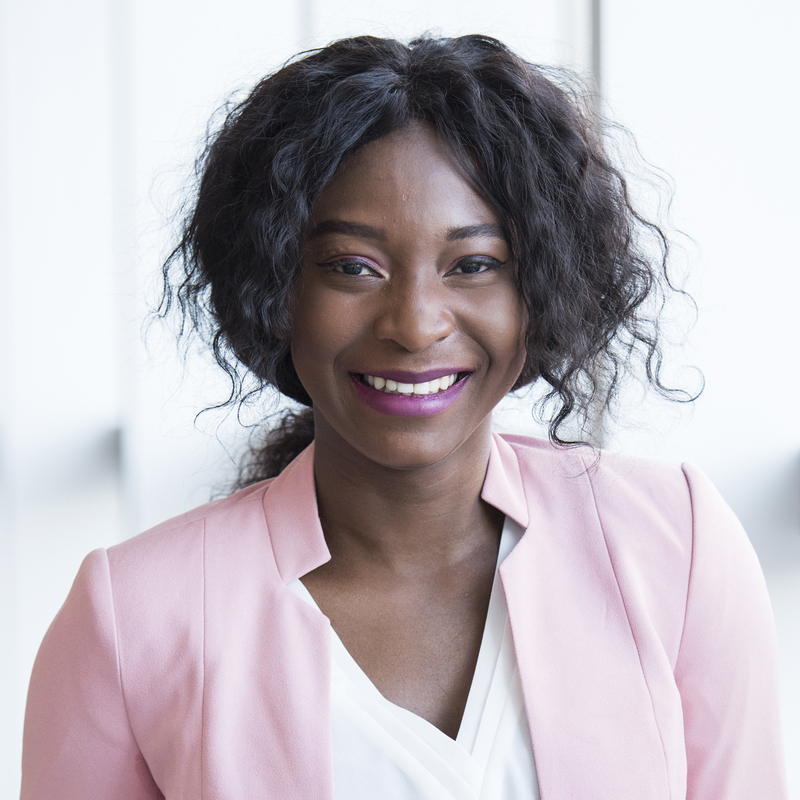 Aïcha Traoré is in the fourth year of her honours BCom (Finance) degree. She worked at Elections Canada, where she was greatly appreciated. Aïcha’s supervisor, Annie de Bellefeuille, describes her as “outstanding in her work and in her ability to deal with both colleagues and clients on major and critical projects.” With a CGPA over 8.5 for three consecutive years, she was inducted into Beta Gamma Sigma in April 2017. Janie Amyot is completing joint BASc in Chemical Engineering and BSc in Computing Technology degrees. A fourth-year student, Janie was hired for a position at Environment and Climate Change Canada. Her supervisor, Isabelle Tardif (regulatory analyst), greatly appreciated Janie’s ability to achieve quality results through thoughtful reflection and her ability to work well independently.” Janie is engaged and curious. Thanks to her consistently high grades, she has been on the Dean’s Honour List at the Faculty of Engineering for the past three years. She was also the recipient of a Faculty of Engineering memorial scholarship, recognizing high-achieving female students. 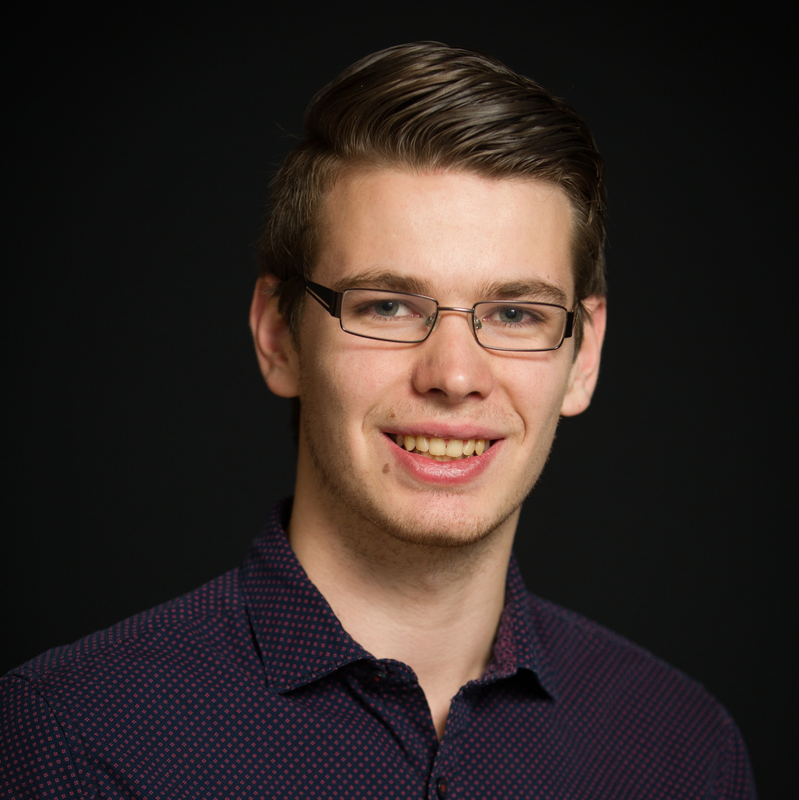 Simon Hamel-Genest is in his third year of an honours degree in social sciences with a specialization in conflict studies and human rights and a minor in law. He further developed his skills while working at Office of the Commissioner of Official Languages (CLO), where Sylvie Carpentier (assistant director) commented on his ability to work independently in a very short time and his wide range of skills that allowed him to complete work normally done by more senior auditors.” A passionate and hard-working individual, he is also an active member of the community, particularly within the LGBTQ+ community and at the Canadian Centre for Gender + Sexual Diversity. 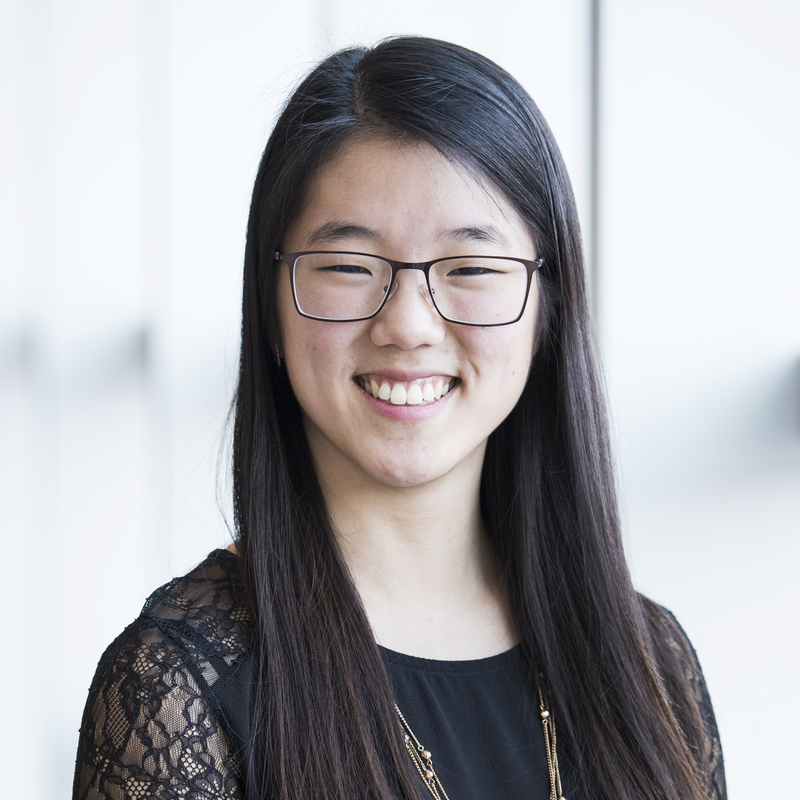 Brenda Lam is completing a Bachelor of Commerce (Honours), specializing in marketing in the French Immersion stream at the University of Ottawa. Brenda is passionate about learning and never shies away from a challenge. Over the past few years, she has participated in an international exchange to France and in the French Explore program in Moncton to hone her French-language skills. Her latest employer, Sun Life Financial, hired Brenda to be the company’s Campus Ambassador following her exceptional work as a marketing CO-OP student. Brenda is very involved in her community and has volunteered with a variety of organizations including CASCO, a university-based charity of which she is vice-president of sponsorship. She also volunteers at CHEO, the Children’s Hospital of Eastern Ontario, where she has organized multiple fundraising events. Stéphanie Renaud is a fourth-year student completing an Honours Bachelor of Social Science in Economics. During her CO-OP work terms, she worked for the Department of Finance Canada as an assistant economist and for Foreign Affairs, Trade and Development Canada as a junior analyst. Her hard work and dedication won her a second term at the Department of Finance Canada. In 2014, Stéphanie worked for the University of Ottawa’s Student Academic Success Service (SASS) as a note taker. She also participated in a humanitarian project in Nicaragua, during which she helped build an elementary school. 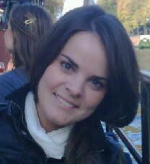 During her two CO-OP work terms as a student in the Graduate School of Public and International Affairs, Cassandra Morin worked at the Chancellery of Honours and Global Affairs Canada. Cassandra is a very determined individual who has volunteered with several international programs, including the Outreach Program in Mbale, Uganda and the Moremi Initiative in Accra, Ghana. In Uganda, Cassandra worked at SAMA, the Student Association for Medical Aid, where she provided medical assistance to more than 1,600 patients. In Ghana, Cassandra worked as a project intern on the Moremi Initiative, which seeks to develop women leadership in Africa. 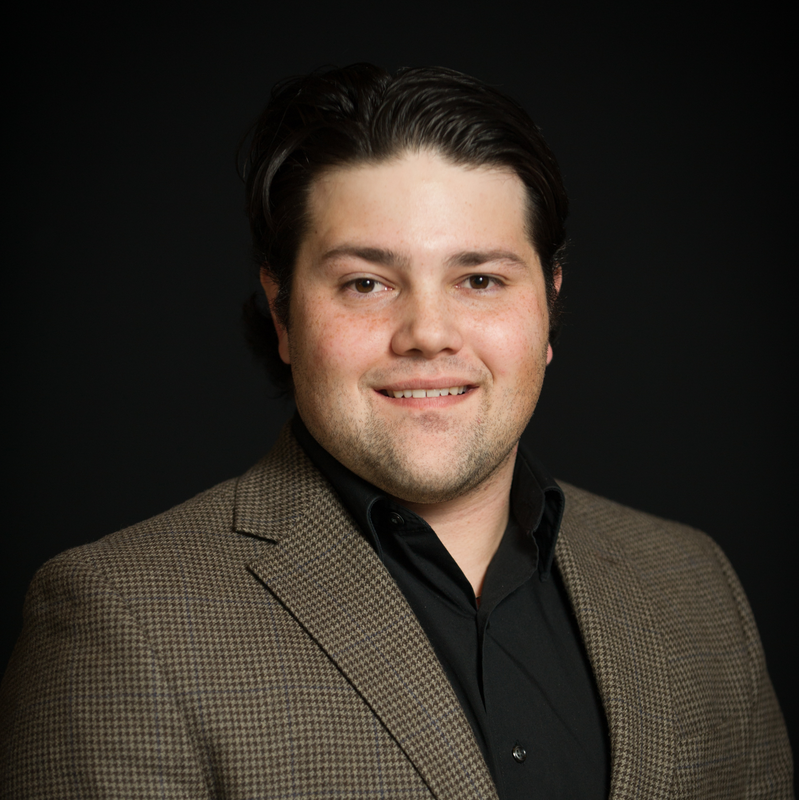 Nicolas Vinette is vice-president of the Civil Law Student Association of Outaouais. 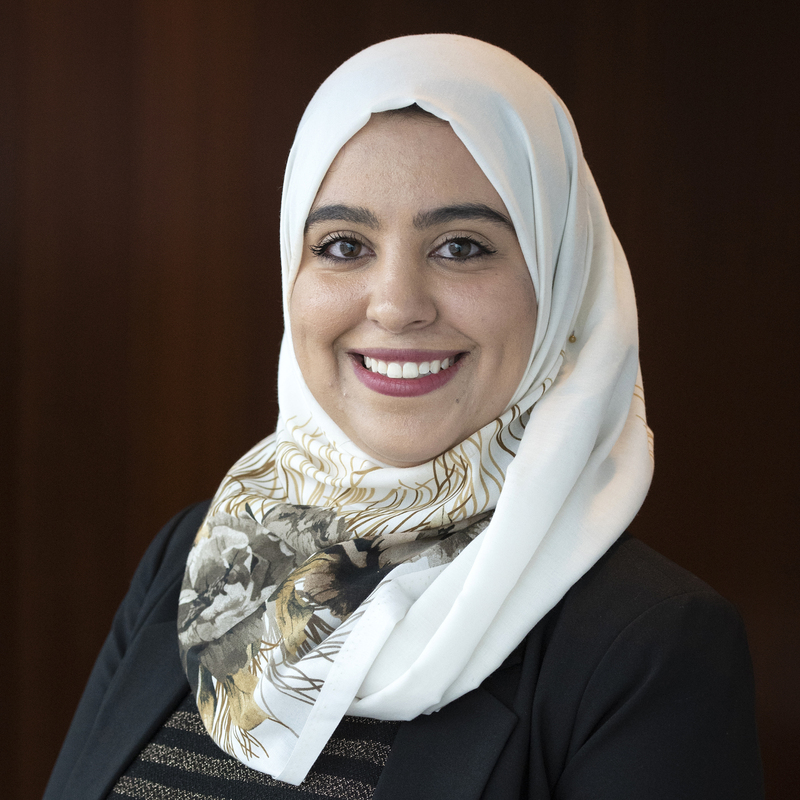 This third-year civil law student is heavily involved in the University of Ottawa and is also vice-president of the university chapter of Lawyers Without Borders. During his last CO-OP work term, Nicolas worked at the Clinique de droit notarial de l’Université d’Ottawa, the university’s notarial law clinic. There he exceeded all employer expectations and was described as a goal-driven student who always puts his best foot forward and makes the most of every opportunity to acquire more knowledge and work experience. 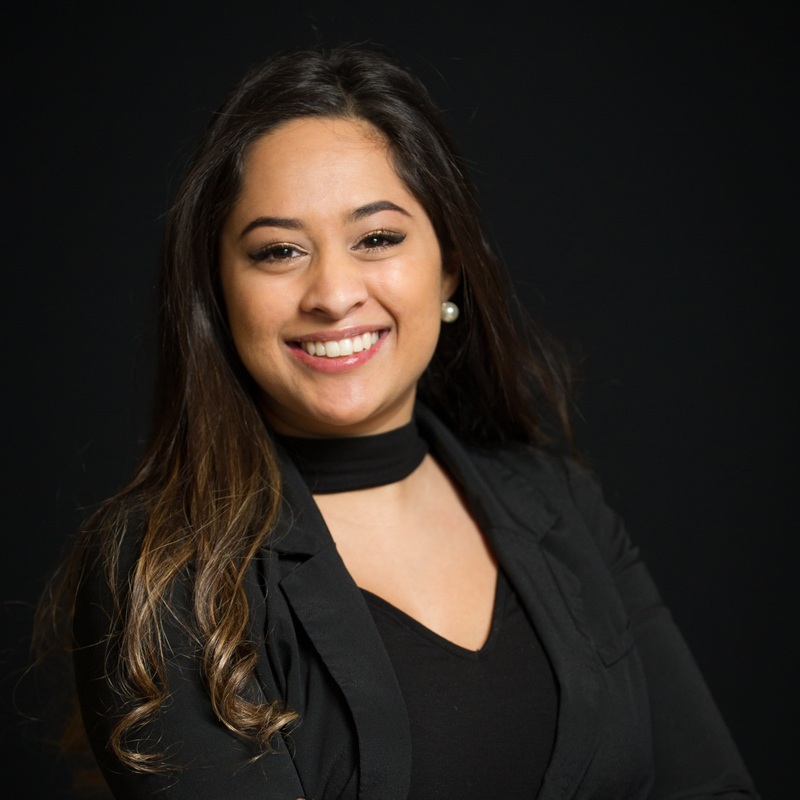 Sabrina Ahmad is a Faculty of Arts student who is majoring in communications and sociology and taking part in the French Immersion stream. Her experience is wide-ranging and spans the globe; she has worked as a research assistant at the Université de Lyon in France and as a marketing intern for Elsevier, an academic publishing company in Amsterdam. During her four years at the University of Ottawa, Sabrina also worked part time as an intern for the Government of Canada through the Federal Student Work Experience Program. Sabrina also took part in the Undergraduate Research Opportunity Program (UROP) and her poster design won third place for the Faculty of Arts UROP. Sabrina is currently working on a research project funded by Google with professors from both the University of Oxford and Michigan State University. Shawn Lamothe is completing a Bachelor of Applied Science, specializing in software engineering. 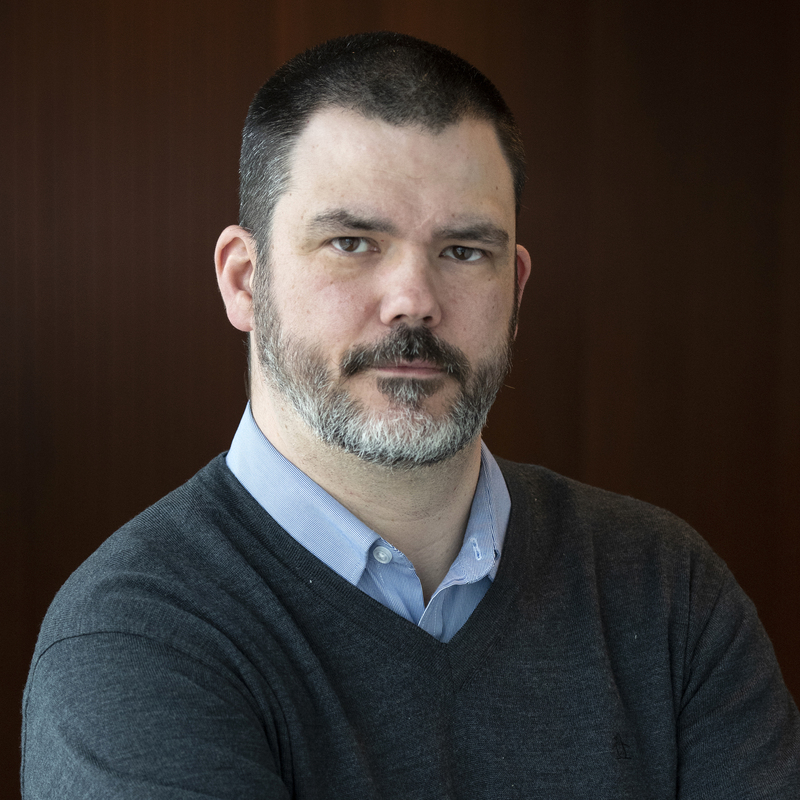 During his last CO-OP work term, Shawn worked for Electronic Arts in Vancouver to design, develop, and test the new FIFA Ultimate Team 17 game. Shawn is heavily involved with the CO-OP office and, as such, has helped other University of Ottawa CO-OP students apply for jobs with Electronic Arts. Whenever Shawn gets the chance, he loves to share the opportunities he has received through the CO-OP program. He has received several prizes from the University of Ottawa, including the J.V March & S.G.S Shiva Memorial Scholarship, the Nortel Networks Admission Scholarship, as well as the Dean’s Merit Scholarship. Sanmeet Chahal is a fourth-year physics-mathematics student who is minoring in biochemistry. 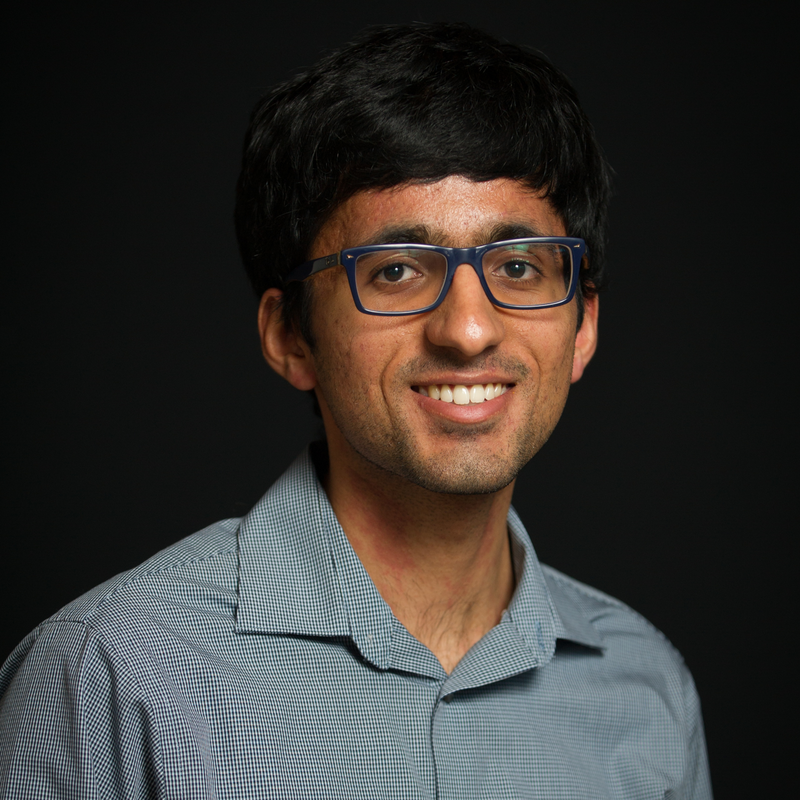 As a CO-OP student, Sanmeet worked for TRIUMF, Canada’s national nuclear physics laboratory, where he conducted several simulations and models for the Ultra-Cold Neutron project. Sanmeet is also very involved in his community, having volunteered at the Kanata Seniors Centre and the Queensway Carleton Hospital and is currently volunteering at Evergreen Park. Sanmeet is the head of external communications for the University of Ottawa chapter of SPIE, the international society for optics and photonics. This February, Sanmeet presented at the world’s largest photonics conference in San Francisco with over 20,000 participants present. Amanda Perozzo, a third year student in biopharmaceutical science, worked for the Park laboratory at the University of Ottawa during the summer of 2013. She spent her time studying the role of the Pink1 gene in Parkinson’s disease, conducting research on fruit flies, and was considered exceptionally bright by her employer. 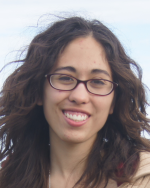 After making important contributions to this research, she returned to the lab for her winter 2015 work term and was an important asset in a study on Parkinson’s disease and the role of inflammation in brain cell loss. Her ease in applying advanced technology and knowledge independently was always noted; she was trusted employee with obvious potential. Connor Flack is studying commerce at the Telfer School of Management. He spent the summer of 2015 working for the Canadian Chamber of Commerce in Hong Kong, where his efforts updating the CRM system and performing daily administrative tasks met high standards. While he resolved many problems independently, he was never shy to ask for assistance in order to accomplish a task successfully. What shone through in Connor’s work performance was his constant enthusiasm, maturity and integrity. He was a team player, enjoyable to work with. Emy Lafortune, a third year undergraduate working on a joint honours in communication and lettres françaises, spent her first work term during the summer of 2015 at the Montfort Hospital, immediately impressing her employer by working quickly, efficiently and with hardly an error. Her advanced writing and translation skills were duly noted during the projects she handled, which included rewriting dozens of pamphlets aimed at making complicated terms understandable for every patient, working on the hospital’s website, creating newsletters and writing two exceptional articles that appeared in the national health care publication Hospital News. Her dedication and quality of work at the hospital were impressive, especially considering her involvement at the University as vice-president information, Francophone, for the Communication Students' Association and in planning the 2015 101 Week. 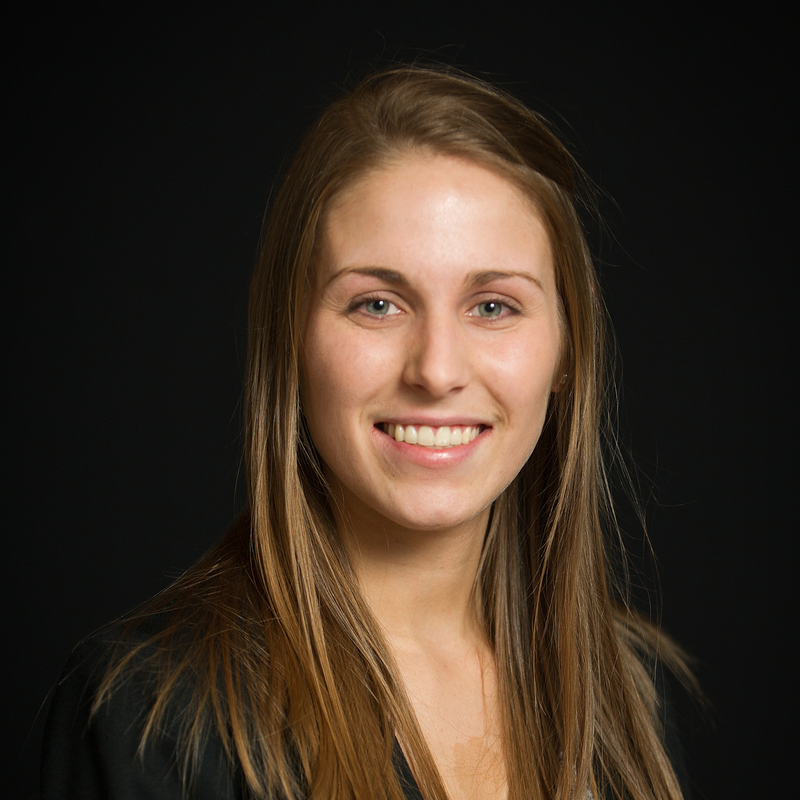 Afton Maisonneuve is in third year civil law at the University. She worked at the Spinosi & Sureau law firm in Paris during the fall of 2015, quickly demonstrating her advanced skills and self-sufficiency by accomplishing tasks usually assigned to full-time associates in her department. Whether completing legal research, participating in meetings with clients with immigration and asylum law issues, preparing court cases or writing draft pleadings, Afton consistently showed high quality thinking and legal writing. She proved herself an indispensable asset to the law firm and surpassed her employer’s expectations of hiring a CO-OP student for this kind of work. Sarmad Hashmi, a third year student in software engineering, joined the Blackberry Identity team in the summer of 2015 and made a positive impact by producing quality results while coding, enhancing products , creating new tools, increasing test automation coverage and making professional presentations. Sarmad exceeded his co-workers’ expectations by juggling multiple tasks, which he accomplished independently and enthusiastically, and switching priorities when necessary. These abilities will certainly enable him to work as a full-time developer and pursue his passion for software engineering. Miranda Sculthorp is a fourth year social sciences student specializing in economics, with a minor in advanced French immersion. She completed a work term in summer 2015 as a coordination officer at the Geographic and Mission Support Bureau. She was responsible for providing curated information on international development programming to senior officials, but took it one step further and decided to develop innovative activities for the bureau. After brainstorming with her team, Miranda researched ways in which mobile technology could serve to facilitate collaborative management. This led to her proposing to develop a mobile application, which forged partnerships across the Government of Canada. She surpassed expectations with her advanced skills in analyzing information, and impressed her colleagues by working efficiently under pressure. Liz Chretien, a master’s student in information studies, started working part-time for Statistics Canada in January 2015 and started her full-time CO-OP work term there in May 2015. Throughout this time, Liz’s contributions to electronic resource management (information management) made a significant impression on her employer. She was fully committed to her job, took charge of projects no one else wanted to do and instead of just doing her tasks, creatively found ways to improve the methods she was told to use. As a result, her team is now undertaking a complete overhaul of the organization of its electronic resources and putting in place a long-term file management system she developed. Third year environmental studies student Rosalind Ragetlie completed her third CO-OP placement at uOttawa, at the Department of Geography’s HEAL Laboratory. The quality and detail of the documents she produced were mentioned by her manager. One of the reports Rosalind was in charge of was submitted to a ministry, which shows the high quality of her work. Rosalind also took part in extracurricular projects related to food security and land use planning in Mexico, Benin and elsewhere in West Africa. What’s more, despite the many activities she has been involved in throughout her time at university, she has continued to maintain a high average. 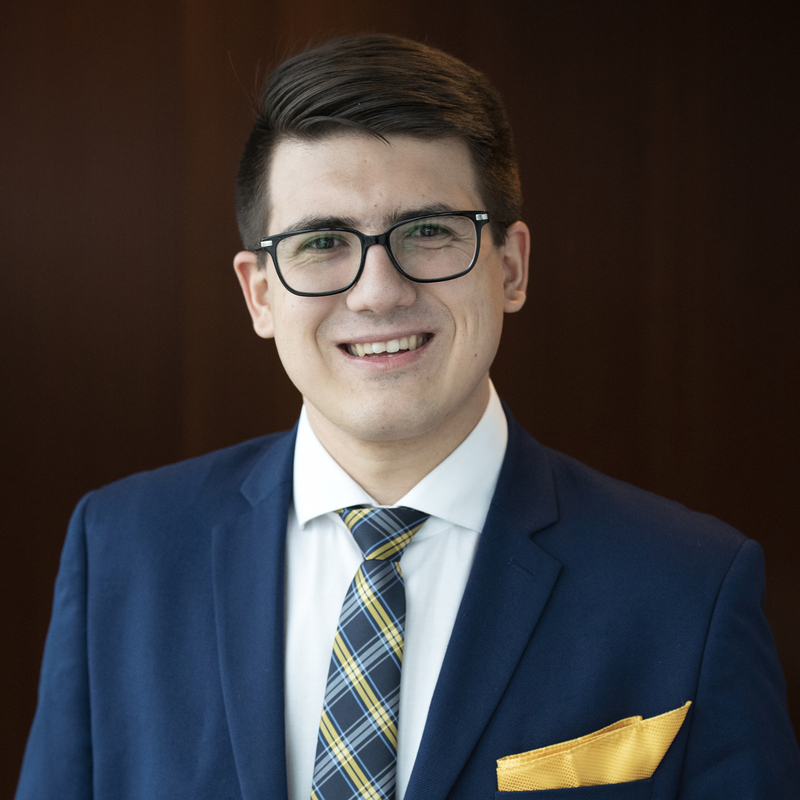 Civil law student David Di Sante approached his work with rigour during his second placement at Justice Canada. He greatly impressed his employer with his writing and editing skills, mastery of language and precision. He also showed considerable initiative by continually adding to his knowledge about the ministry. David made his name as a skilled and industrious worker, which earned him a grade of “excellent” on his final evaluation and his employer’s nomination as CO-OP Student of the Year. 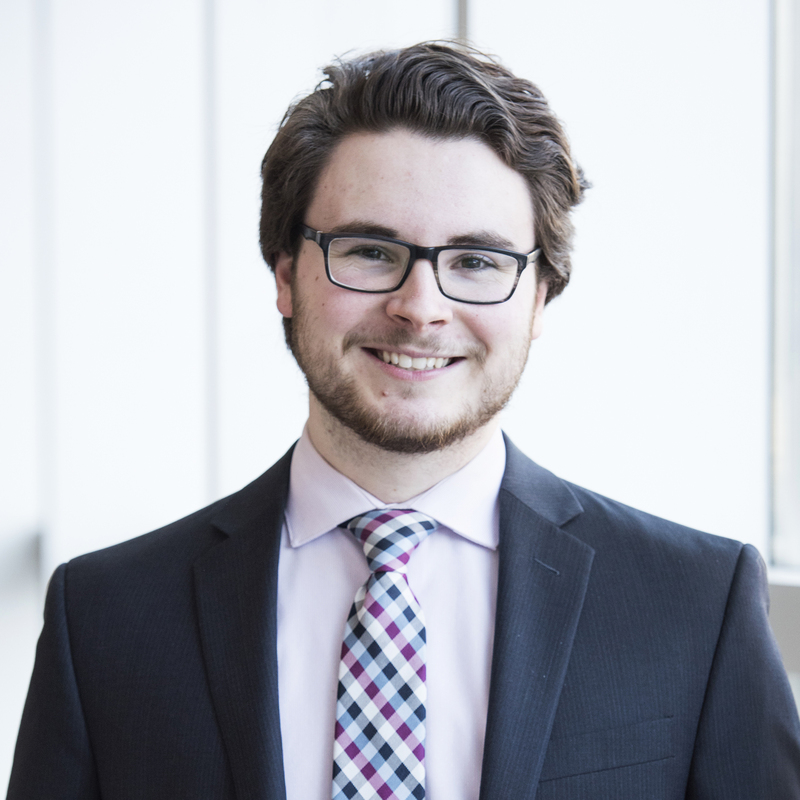 Biomedical science student Luke Brian-Patrick was nominated for this award for his professionalism and rigour during his second placement at the University of Ottawa’s Department of Biochemistry, Microbiology and Immunology. He genuinely impressed his employer by developing a protocol that will be a reference for future students working in the lab, as well as resources and a collection of data that can be used extensively to publish articles, an outstanding performance for a student. Luke is also involved in sports as an educational adviser and video coach, while maintaining an outstanding grade point average. International economics and development student Kyungryun (Cathy) Pak truly made her mark during her fourth and final CO-OP placement. Because of the quality of her work during her third placement at Foreign Affairs, Trade and Development, she was invited to fill a part-time position during her study term, before starting her fourth placement there. Given her considerable interpersonal skills, diplomacy and patience, Cathy was left in charge of liaison with department stakeholders, something usually only handled by permanent staff. Management student Barbara D. Robertson distinguished herself in many ways during her fall 2014 placement at Elections Canada. In addition to her outstanding academic record, Barbara far surpassed expectations during her placement, particularly through her strong sense of initiative. She showed her ingenuity by developing her own tool to let everyone know their roles and responsibilities when timelines overlap, making practical use of her management skills. Barbara’s tool is still used as a template by her team and other senior department managers. She also takes part in extracurricular activities, holding various positions and helping to promote her faculty, while maintaining an outstanding grade point average. Manosilah Yoganathan, a master’s student in international development and globalization, completed her second placement at the Ottawa Hospital Research Institute. During the placement, her work ethic and commitment were highly appreciated, not to mention her contribution to an international project that was presented at a conference in Singapore. She was even offered a job after her placement so she could continue working on the project. Mansoilah is also involved with the Children’s Hospital of Eastern Ontario, where she serves as a facilitator for Youth Net, a program to raise youth awareness of mental and physical health. Fourth year civil engineering student Megan Young completed her final CO-OP placement at Stantec, where her good work earned her a nomination for this special award. Thanks to her broad technical knowledge and her strong interpersonal skills, Megan’s contribution was highly valued by her employer. She exceeded the requirements for her position and showed outstanding initiative, including taking part in company activities and large-scale projects, for which conducted data analysis and processing, consulted stakeholders and produced a final report. And that’s not all: she’s also part of a competitive soccer team. Émilie St-Hilaire completed her first two work terms with the federal government before going to Paris to complete a work term with UNESCO. She then served her last work term with Natural Resources Canada where she was recognized for her analytical skills and determination. 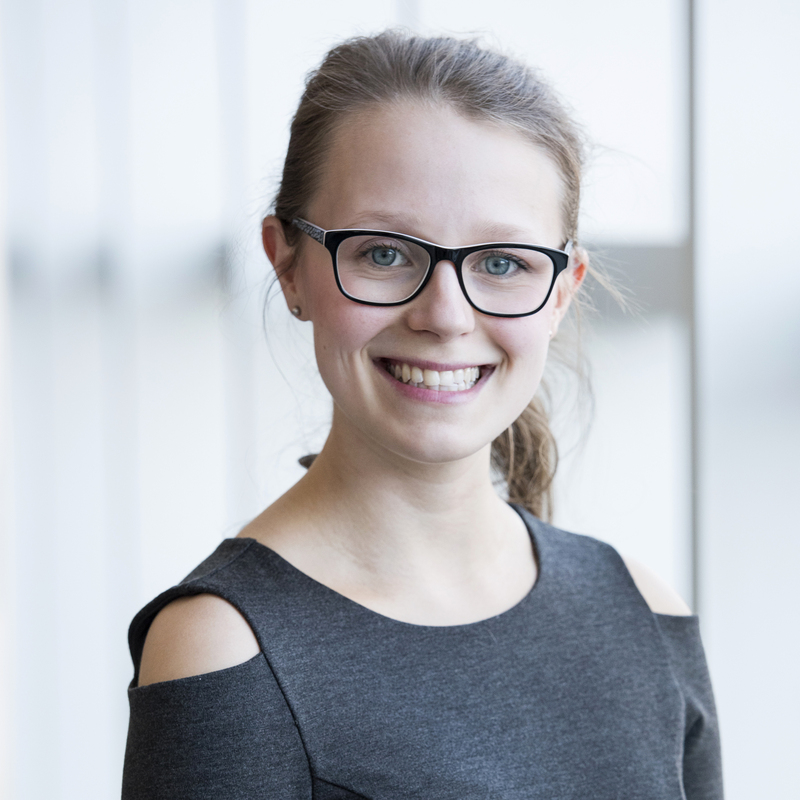 Émilie held the position of research intern and worked on a project aimed at examining the reporting of corporate social responsibility in the securities exchanges documents of Canadian mining companies. Her main tasks were to collect raw data, organize the data in a database and format the database for easy access and analysis of the information. This required a thorough knowledge of various types of software used in both collecting and analyzing data. On her own initiative, she created a tool for data collection and analysis, which was very useful in managing and presenting the large amount of information collected during the research. Finally, Émilie exceeded all expectations by creating a workshop to provide training to help her colleagues increase their skills in Microsoft Excel. When doing her placement with BDO Canada, Gabrielle Vachon worked on a number of accounting, tax and certification projects. She also dealt with numerous clients during the course of her work at BDO. Gabrielle was given responsibility for the Ottawa East region, a challenge she found quite interesting. Her supervisor described her as someone able to work very well not only on her own but also as part of a team. She gained experience analyzing various types of information, an important skill accountants must possess. Gabrielle is an employee who believes a great deal in her work in accounting and will complete her certification requirements. During her work term with Language Rights Support Program, Anne-Marie Brien demonstrated a high level of professionalism, attentiveness and integrity. Anne-Marie compiled a list of case law related to bilingualism, which is now available in both official languages on the Language Rights Support Program's website. Anne-Marie also prepared and gave a presentation on public interest in constitutional language rights to a number of experienced lawyers. She is currently doing her civil law degree and will then go on to complete the professional training program with the Barreau du Québec. Resourceful, dedicated and creative are all words used by her supervisor at the Royal Canadian Mint (RCM) to describe Simone Gaudreault. She has set herself apart from her peers with her principled nature, integrity and care. During her work term at RCM, she helped develop aspects of the business architecture for the MintChip digital currency project. She not only delivered an incredible amount of high quality work in a timely manner but also developed and refined processes and procedures related to the MintChip project. In addition, Simone participated in the Mint's green committee, dedicated to making Mint business practices more ecologically friendly. Kate Hodgson served all four of her work terms with Public Works and Government Services Canada (PWGSC) in the Planning and Integration Office at the Parliamentary Precinct Branch. She worked with the project management team that is planning the Centre Block restoration work. Her largest project involved drafting an essay examining the relationship between Canada's Parliamentary ceremonies and traditions and the design of the spaces and artefacts in the Centre Block. Kate researched and drafted this essay to serve as a key background document for the restoration project. She has proven herself to be a quick learner with excellent organizational skills. Above all, her contagious enthusiasm for history has encouraged her colleagues to have a greater appreciation for the work they do. Nicole Agbayabi distinguished herself in the position of junior environmental officer at the Products Division of Environment Canada. She created a searchable compendium of contracts that were issued by the Chemicals Sector Directorate under the Chemicals Management Plan and the Clean Air Regulatory Agenda. She also prepared external communications as well as proposals and briefing materials for developing a corporate stakeholders' engagement strategy and an overarching policy approach to CiP management in order to encourage early voluntary action. Nicole is deeply committed to excellence, hard work and leadership. In fact, her work-term paper, Chemicals in Products, an Emerging Policy Issue, will serve as a quick-reference document for the proposed policy approach. Queenie Wan made a lasting impression on her supervisor at Canada Revenue Agency (CRA). During her work term, she significantly exceeded all behavioural and developmental performance expectations with respect to output, quality standards, delivery of goals and assignments. Queenie contributed to the T1-Trend Analysis Project by preparing tables and graphs of selected T1-data variables in different trend formats, mapping out the evolution of data over the 16-year observation period. She also developed a theoretical time-series analysis model that may prove useful in forecasting some of CRA's workload indicators. Overall, Queenie has proven that she is driven and will persevere to achieve her goals. In fact, as a result of her academic and professional experiences, she has decided to pursue a career as an actuary. 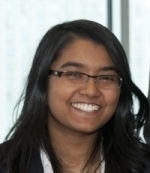 Allyshia Sewdat distinguished herself during her CO-OP work term with the IBM Social Media Team in Ottawa. 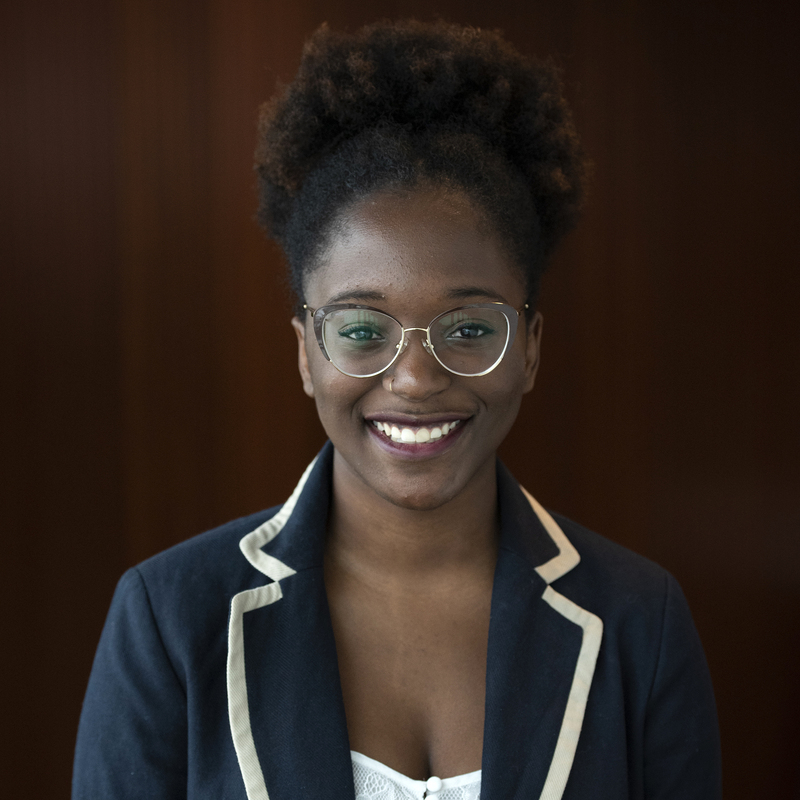 Allyshia was part of the IBM Extreme Blue internship program and was one of a four-member multidisciplinary team that aimed to deliver and market a new product in only 15 weeks. IBM only sponsors 15 such projects globally and each one requires a high-performance team whose students are carefully selected. Allyshia's technical abilities were undisputable as she led in designing and developing core features while collaborating with key stakeholders worldwide to deliver results. Topping it all, she travelled with her team to IBM headquarters where they successfully pitched their work to top IBM executives. Her leadership, teamwork, and conflict-resolution skills were pivotal in keeping the team committed and agile throughout the project’s short lifecycle. The outcome of her work during the program will contribute to IBM’s product roadmap. Within a short time period, she succeeded in meeting all of the program objectives and truly made a difference at IBM. Selena Theia Humphries consistently strives for excellence in all aspects of her life. During her most recent CO-OP term with the chemicals sector at Environment Canada, she was responsible for writing a technical summary and economic analysis of a chemical called Octamethyltrisiloxane (MDM) and presenting the results to her division. She went above and beyond expectations by not only analysing the current market for the substance, but also by taking her study a step further: she conducted an analysis of the various sectors that use this substance and modelled the future growth of these sectors. Accomplishing these goals required strong time management skills and Selena divided her work into smaller tasks, set her own deadlines for them, and worked diligently to meet her manager’s expectations. The project also required good organization, reading, writing, and comprehension skills, which she demonstrated throughout the term. Finally, she also cooperated with her team by helping her colleagues plan an office event. Selena wanted a challenge and she certainly proved that she could handle a significant workload. Samantha Harris confirmed that after completing one CO-OP work term with the private sector and one with the public sector, she is confident that she will choose a public sector career. Samantha worked in the Canada Revenue Agency (CRA)'s GST/HST Pre-Assessment Section (Audit Division) for two consecutive CO-OP work terms. Her colleagues observed that she learned very quickly, both during classroom training and on the job. She understood CRA's line of business very well and demonstrated that she could deal with sensitive issues in a professional manner. She displayed great self-confidence, which is very important given that the CRA deals with the Canadian public on a daily basis. She also demonstrated excellent organizational skills. 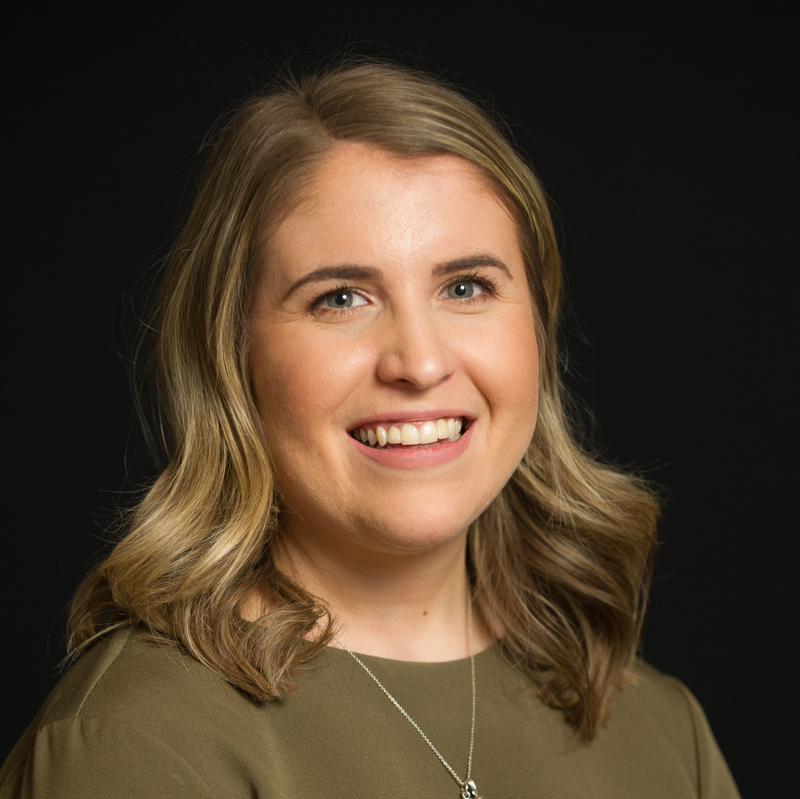 Because of her ability to learn quickly and manage her large inventory of audit files, Samantha will act as a peer coach for new CO-OP students and continue to produce quality files and share her new skills. Kyle Briggs’ achievements during his CO-OP term in the Department of Physics at the University of Ottawa were remarkable. Kyle worked on developing a method to nanofabricate sub-5nm solid-state nanopores in aqua. Solid-state nanopores are emerging as versatile single-molecule analytical tools for a host of applications, including nucleic analysis for low-cost, rapid DNA sequencing. However, the complexity and cost of making solid-state nanopores remains a major barrier to commercializing this technology for clinical diagnosis. Kyle’s work this CO-OP term directly tackled this challenge by investigating a novel nanopore creation method based on the controlled dielectric breakdown of a thin insulating membrane, in aqua. The quality data he obtained was vital in understanding the physical mechanisms that underlie nanopore formation. In fact, his results are expected to be published. 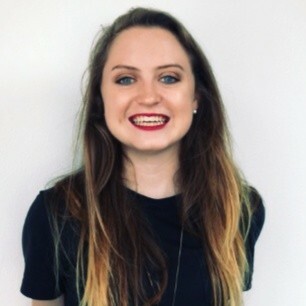 Kathryn Anne Brunton proved to be an exceptional student during her placement at UNESCO’s International Institute of Educational Planning (IIEP). She immediately joined the hectic pace of organizing the IIEP’s forthcoming policy forum entitled, “Engaging youth in planning education for social transformation.” She took on a number of core tasks in organizing the policy forum that went well beyond her duties as an intern and she always went that extra mile of her own accord. She displayed maturity beyond her years while engaging professionally with high-level ministers from around the world, as well as with young people who were interested in joining the policy forum. She was exceptionally articulate, both verbally and in writing, and was able to analyze and synthesize a wide range of information into high-quality, well-structured documents that have already found use in public forums. Kathryn Anne was an incredible team player who worked very well with all her colleagues. Étienne Grand-Maison made a lasting impression at the Canadian International Trade Tribunal. He surpassed the level of quantity and quality normally expected of first-time CO-OP students and made himself quite indispensable to his colleagues and upper management. He used his knowledge of economics to provide the Tribunal with a clear, detailed and thorough research paper that shaped the Tribunal’s work processes and that will have a significant impact in the future. He was also a quick study and required little supervision. He displayed outstanding initiative in the projects to which he was assigned and a zest for tackling new and challenging work. Within the first couple of months at the Tribunal, Étienne even learned a programming language without the benefit of any prior coding experience. Armed with this new knowledge, he went on to significantly improve the Tribunal’s electronic tools, resulting in increased productivity. 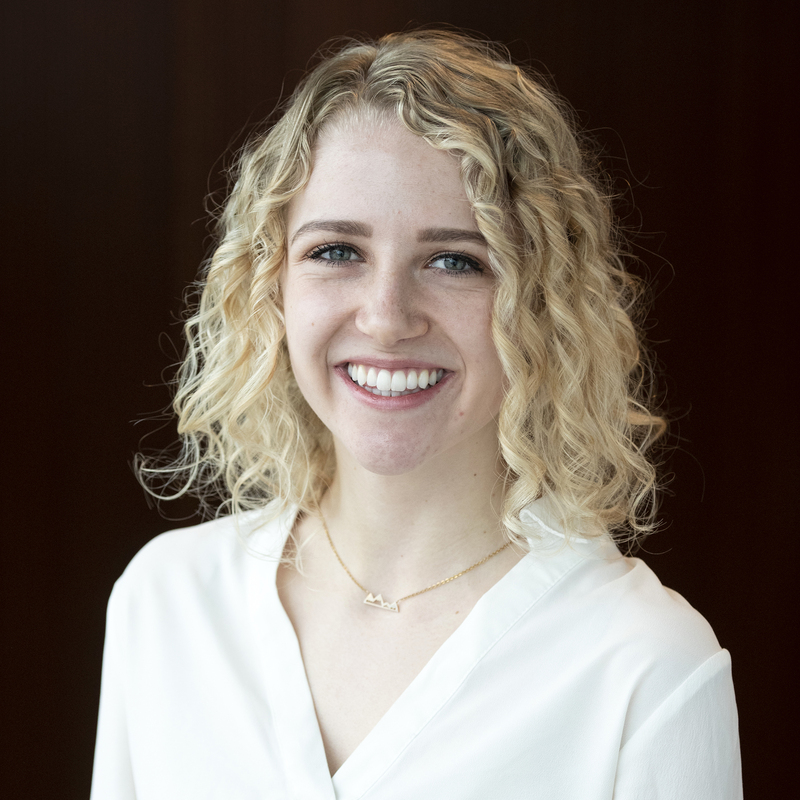 During her placement at the Canadian Gas Association (CGA), Anne-Marie Brien brought honour to the University of Ottawa and to the CO-OP program. Canadian natural gas utilities are increasingly concerned with legislative and regulatory actions that undermine efforts to develop new and innovative approaches to serving customers. During her work term, Anne-Marie developed and executed a three-pronged research plan to foster better understanding of this field and a more effective advocacy program for the CGA. Over the course of her term, she made use of superior research and analytical skills and was able to distil an incredible volume of detailed legislative and regulatory information into a manageable and easy-to-understand appraisal of the laws and decisions that govern natural gas utilities in each province. When presented to the CGA Board of Directors and the senior managers of Canadian natural gas utilities, Anne-Marie’s work received enthusiastic support and earnest appreciation for both its uniqueness and practical potential. CGA believes her work will create a new and valuable product for CGA and its members. Andrew Bitar, a brilliant student, devotes as much hard work and passion to his work term as he does to his academic courses. For instance, his drive for academic success has resulted in multiple achievements beyond the A+ grades he has earned in each of his courses. He was a recipient of the J.V. Marsh and S.G.S. Shiva Memorial Scholarship, awarded for high academic standing, two years in a row, as well as the winner of the Telesat Canada Undergraduate Scholarship and a finalist for the President’s Scholarship at uOttawa. Moreover, Andrew brought the same work ethic to his CO-OP jobs. He impressed his employers by demonstrating his ability to learn quickly and produce results that surpassed their expectations. As much as he focuses on his courses and jobs, Andrew strongly believes that you cannot truly succeed in your education and your future without being balanced and exposed to many different fields and interests. As a music enthusiast, Andrew writes and produces his own music. He is also co-founder and writer of a music blog that helps people discover new music while promoting up-and-coming artists. Delphine Latulippe has always managed to strike a healthy balance between school, work and play. During her two last work terms—Industry Canada and University of Ottawa—Delphine realized that CO-OP allowed her to play a truly concrete role in key projects and activities. Her willingness to fully commit to the tasks at hand won constant praise from her employers, as well as glowing evaluations for each of her work terms. But her achievements extend beyond her work terms: she has won several scholarships and she made the dean’s list in 2010-2011. In addition, thanks to the salary she earned through her work terms, she’s been able to cover all of her tuition fees. Delphine also leads an active life outside the classroom. For instance, over the past two and a half years, she’s been very involved with I act, J’agis, a uOttawa group that organizes and supports not only social activities, but also academic and humanitarian causes designed to both raise awareness and provide assistance. Thanks to the CO-OP program, Karine Côté discovered she had made the right choice when it came to her field of studies. 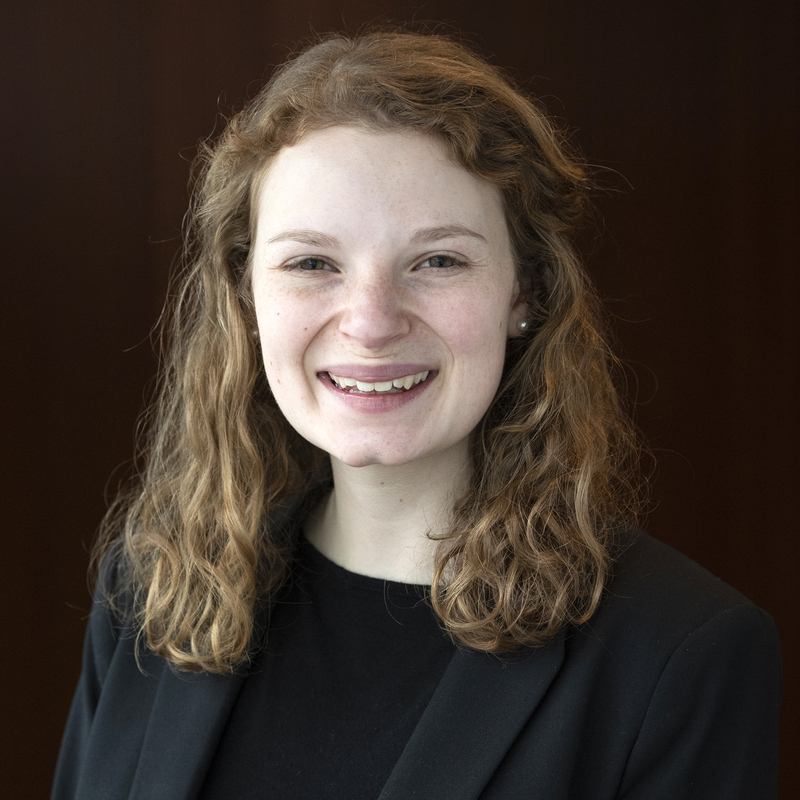 Her CO-OP placements have allowed her to explore many of the facets of international development and build up her skills in her chosen field. Karine also had a chance to show her employers just what she could accomplish and prove she had what it took to get the job done. Karine went abroad for her second placement, which gave her a chance to see things from a perspective very different from her own. These two placements gave Karine the opportunity to learn about managing large-scale projects in a stressful environment and in situations of profound institutional change. She also gained a great deal of experience in project development and implementation, working alongside real professionals in the field. Karine’s colleagues and supervisors truly appreciated the great work Karine did during her time with them. She was also able to discover which areas of the very broad field of international development appealed to her most. Today, after having carved out a place for herself with a number of organizations, she is enjoying her work in a field she loves. For each of his CO-OP work terms, Haoyang Hubert Duan was able to exceed his employers’ expectations by applying his academic knowledge and his creativity to the task at hand. During his work term at Statistics Canada and as part of the National Population Health Survey team, he managed the development schedule of the survey’s computer application for health institutions and trained two new employees on data collection and application testing. 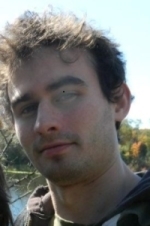 He has also had the privilege of conducting original research with Professor Vladimir Pestov while working as an undergraduate research assistant in the Natural Sciences and Engineering Research Council of Canada program at the University of Ottawa. At National Defence, he wrote three papers, presenting research tools and discussing results in the area of data mining. Moreover, Hubert received the ranking of “Exceptional” from all his former CO-OP supervisors, who have all praised him as extremely hard-working, creative and analytical. Hubert’s success goes beyond his work experience; he has recently completed his honours bachelor of science degree with a near-perfect 9.9 CGPA. In addition, he was awarded a 2011-2012 NSERC Graduate Scholarship. 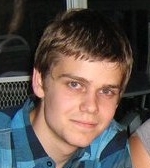 Hubert also enjoys volunteering and, most recently, he gave time to the University of Ottawa 2011 Summer Math Camps. Throughout her studies, Danielle Currie has maintained a balance between academic pursuits, work demands and social activities. While completing two CO-OP work terms with Correctional Service Canada (CSC), Danielle was responsible for overseeing the management of all the contaminated-site projects in the Ontario region and was given the opportunity to represent CSC at various stakeholder meetings and conferences. Because of the experience and knowledge she gained through CO-OP, she has been offered full-time employment at Correctional Service Canada. Moreover, Danielle remained in excellent academic standing and was on the dean’s honour roll for many sessions. In the 2009-10 academic year, she also received a University of Ottawa merit scholarship. During her off time, Danielle actively volunteers with Survivor Ottawa, a local team that raises money and awareness for local programs related to cancer survivorship and, most recently, for the Ottawa Regional Cancer Foundation’s Wellspring Survivorship Centre. A former member of the Gee-Gees equestrian (dressage) team, Danielle enjoys competitive horseback riding.